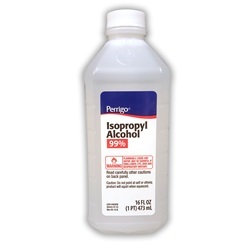 16 ounce liquid bottle of isopropyl alcohol 99%. Manufactured by Perrigo. Comes as singles.